Do you ever sit down to do your nails and realize that you actually have no idea what you want to do? That happens to me quite often, especially since I have a nail polish collection the size of a small salon. What can I say? It’s kind of an obsession. This week, I wasn’t sure if I wanted to go simple and classic or bright and funky with my manicure – so I did both! Like Hannah Montana always said, you get the best of both words. Chill it out, take it slow, then you rock out the show. With this mani, it’s half chilling and half rocking. Here’s how I did it! I started out with two coats of OPI’s Pink Friday, originally thinking that I’d stop there. When I finished, I realized I wanted to do something different. After all, I can’t write a blog post about a basic pink mani, can I? Of course not. The easiest option would be to have an accent nail – maybe a glittery silver ring finger – but, to be completely honest, I might actually be over the accent nail. Why can’t all my nails be funky? Or half funky? 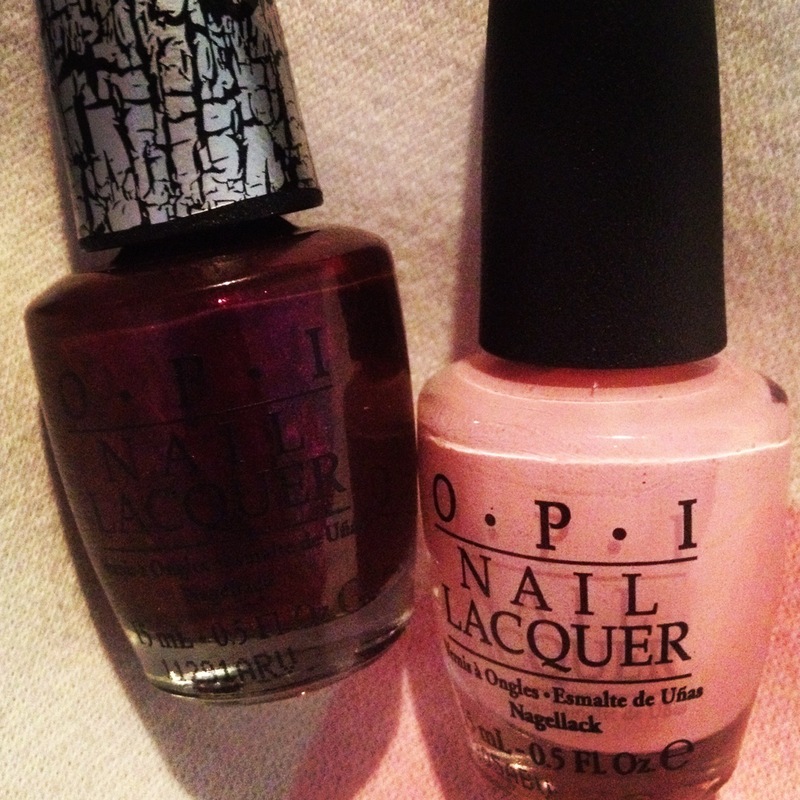 Color polish – I used OPI’s Pink Friday. Shatter (or you could use a glittery top coat) – I used OPI’s Super Bass Shatter. Top coat – I used Seche Vite. 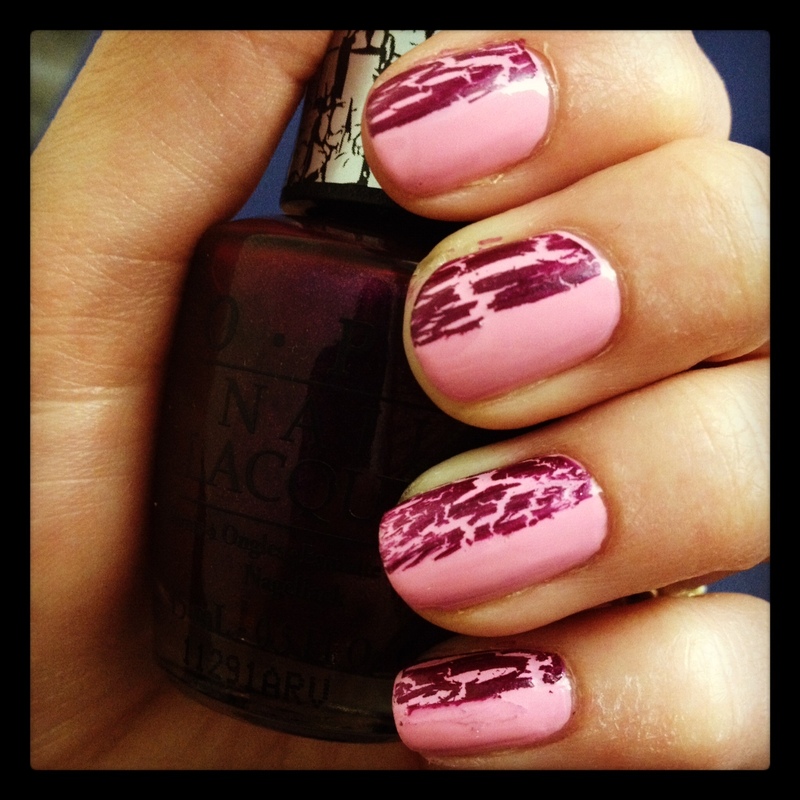 OPI's Super Bass Shatter and Pink Friday, from the Nicki Minaj collection. You want to start out with your base coat and color coat and wait for it to dry. Patience is key here because we’ll be taping over the color coat, and if it’s not totally dry, it will ruin your mani. If you could wait 20-30 minutes, you should be good. Test it by tapping your finger on your nail – if you get fingerprints, it’s definitely not dry. Once your color coat is totally (and I mean totally) dry, tape a piece of scotch tape down the center of your nail. This will serve to create a perfectly straight line and protect the other half of your nail from the shatter polish. Coat half your nail in your shatter/glitter/accent polish and remove the tape. 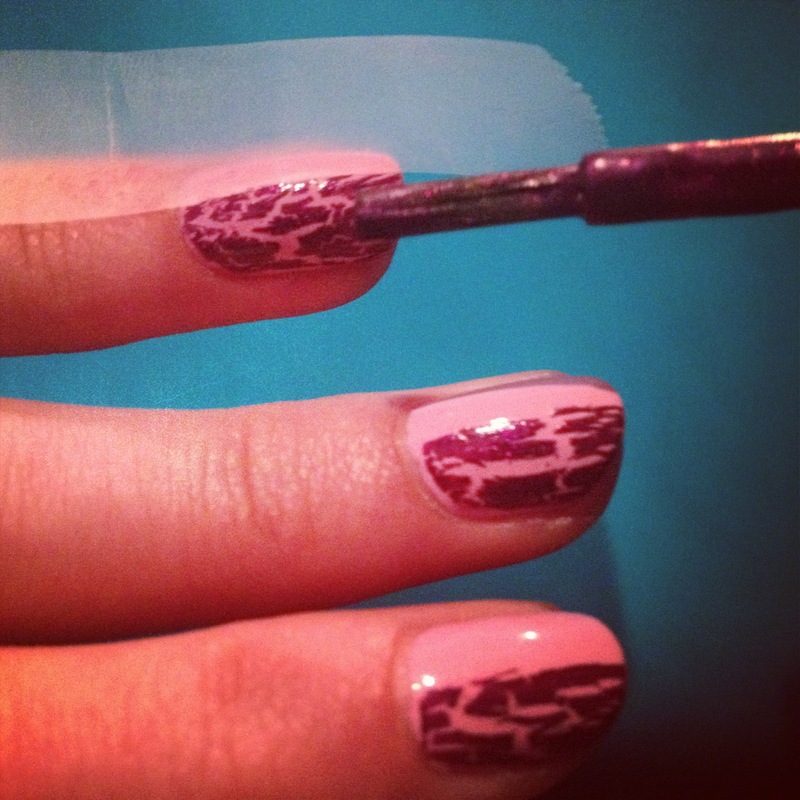 Once all your nails are painted and the tape is removed, finish with a top coat! My favorite is Seche Vite because it dries your polish fast and you don’t have to worry about messing up your mani. ← Trend Report: Cute Animals! Totally obsessed with this, because my shatter nail polish always just looks like my polish is chipping.